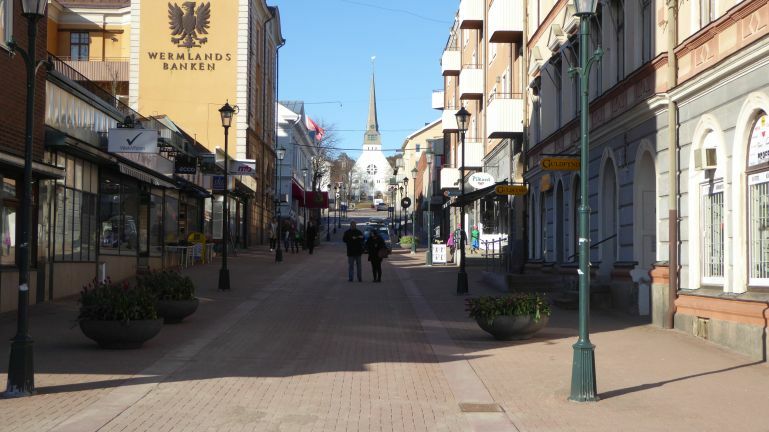 Arvika is small town in eastern Sweden, close to the border to Norway. I went there one day in early April to see a customer. I got some hours to walk around town this sunny if not overly warm day. This is the main drag.